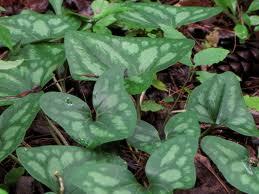 The Cherokee used Wild Ginger in the vast majority of medicinal formulas. The Cherokee would boil the roots to make a tea to cure coughs, colds, fevers, stomach or digestion problems, headaches, heart problems, diarrhea, a de-wormer and to help with menstrual problems. They would also make a tonic to provide endurance for an upcoming harvest. Some say they would cook the roots and grind them into a powder which was applied to clothes as a perfume. It should be noted that some people can develop dermatitis when they handle the leaves. It is an evergreen perennial that can grow from six inches to one foot tall and has purplish brown blooms during April and May. Many people call the dried seed pods “little brown jugs”. The blooms often go unnoticed because they are at ground level among the leaf litter. 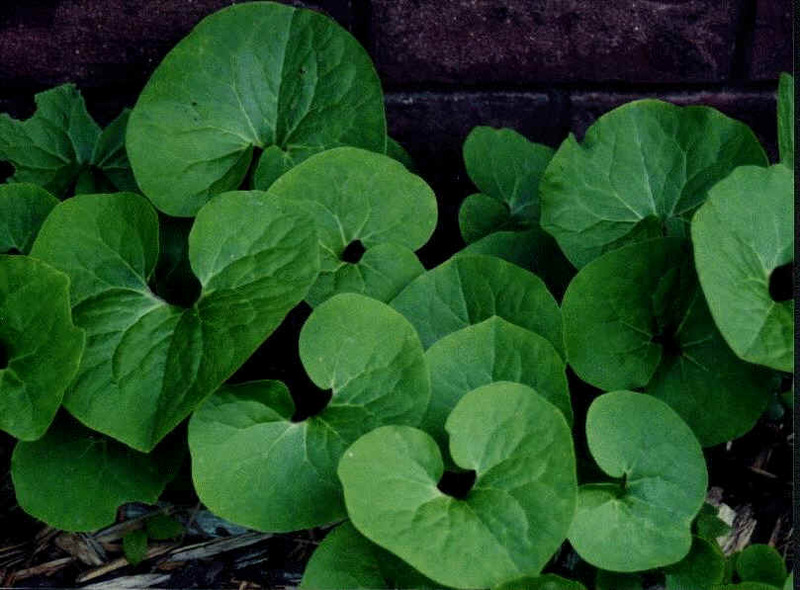 Both the Heart Shaped Ginger and the Mule Footprint Ginger likes partial to heavy shade with wet soil and is also deer resistant. 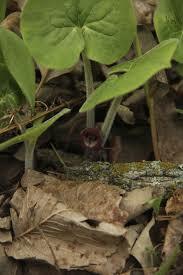 It spreads by rhizomes to form an attractive ground cover. This plant adds a lot of interest and texture in my garden. I have it planted under my deck for year long color and interest. It is very cold hardy and would work in anyone’s garden with a little shade.